I know what you are. . Wallpaper and background images in the Critical Analysis of Twilight club tagged: twilight movie caption rpattz kstew bella edward i know what you are anti. Wrrr. he's not a bad actor! 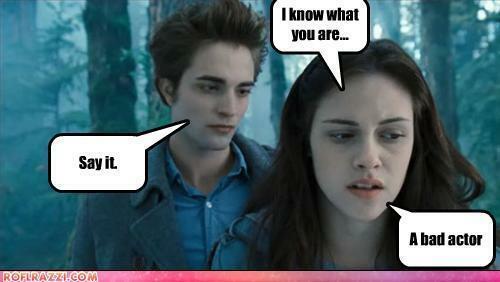 he isnt really a bad actor..she is....Rob Paterson doesn't want to play edward...he doesnt like him lol.